In which Jay recruits X-writers Seanan McGuire and Leah Williams, cosplayer Tea Fougner, and innocent bystanders Kel McDonald and Diana Fox, for a night of Emma Frost appreciation. Why Emma Frost is amazing; why we love her; and why you should, too. NEXT EPISODE: Return of the RCX! No visual companion this week! Go read some comics about Emma Frost! 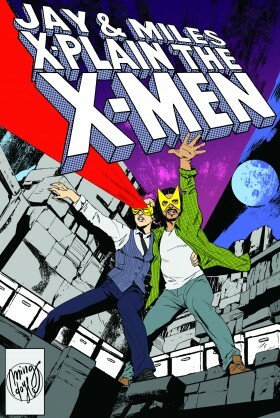 NEXT EPISODE: The not particularly secret lives of the X-Men! You can hear all about “Judgment War” in Episode 128 – A Stupid Way to Die, and Episode 133 – Feisty Little Fellow from the Stars. And here’s the Kids in the Hall “Inexperienced Cannibal” sketch. In which you are the wind beneath our wings; Sunfire doesn’t quit the team even once; the X-Men do “Judgment War,” kinda; Iceman’s clothes are mostly incidental; Mikhail Rasputin is a surprisingly accomplished vintner; Colossus has a bad day; Super Doctor Astronaut Peter Corbeau is a core value; and we are REALLY excited about our plans for Emerald City Comic Con! COME SEE US AT EMERALD CITY COMIC CON, MARCH 1-4, IN SEATTLE! Find links to the stories mentioned in this episode on our blog!